Abraham Hunsaker received a 200 acre Land Grant located on Grassy Creek. Leonard Hart and George Carringer were chain carriers. Abraham and Katharine Hunsucker deeded George Karenger 200 acres located above Grassy Creek adjoining Karenger. Christopher Yow and Christopher Caringer were witnesses. A deed from Abraham Hunsucker and wife to George Karenger was proven by Christopher Caringer. 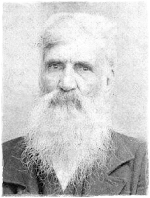 Neil McLeod received a 150 acre Land Grant located on Deep River adjoining Isaac Pennington, Edward Moore, Abraham Hunsucker and Joseph Geason. John Bullock received a 90 acre Land Grant located South of Deep River adjoining Abram Hunsucker, Lewis Garner, Jacob Carringer, George Carringer, John Garner and Christopher Yow. Lewis Garner and Bradley Garner were chain carriers. Bradly Garner entered 15 acres located on the drains of Grassy Creek adjoining Abram Huntsacre, Geo. Carringer, Lewis Garner and Hart. Luis Garner and George Carringer Sr. were chain carriers. Bradly Garner entered 15 acres located North of Grassy Creek adjoining Abraham Huntsucker, David Kennedy, Geo. Carringer and his own line. George Kennedy and Bradly Garner were chain carriers. Neil McLeod received a 10 acre Land Grant located South of Deep River adjoining Abraham Hunsacur, his own line and John Smith. Bradley Garner and Christopher Yow were chain carriers.